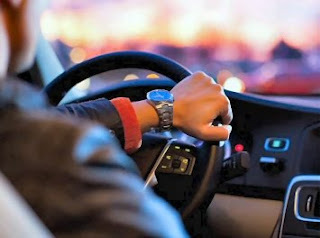 Driving is a necessary skill in modern life, as we can't even imagine living properly without it. Every day-to-day work includes driving skill. When we talk about those medical conditions that can affect driving skill then most common things that come in our mind are problems of eye sight or some problem in hands/legs or problems of spine. These are something common that anyone can think about, but there are some lesser known medical conditions that can make your driving experience worst. So it is better to be aware of those problems. Here we will list some medical conditions that should be treated adequately, so that you can keep enjoying your driving experience. Dementia: This disease usually occurs as a side effect of Alzheimer’s disease, stroke or brain injury. Dementia affect our judgment, memory, and decision-making skills. These effects of dementia can make driving not just unsafe for ourselves but risky for others as well. Epilepsy: It is a neurological disorder that can cause recurring seizures. These seizures make temporary loss of awareness or consciousness and can easily lead to problems while driving. Sleep disorders: Sleep disorders often disturb your sleep during night and might result in sleepiness while driving and it can be extremely dangerous. Sometimes even lack of sleep can create problems while driving for normal people, who don't suffer from any sleep disorder. Diabetes: Uncontrolled diabetes can cause lack of consciousness while driving. Diabetes can also affect your eyes and nervous system, which are extremely important while driving. Blackouts and fainting while driving can also be harmful, but these symptoms indicate some underlying medical conditions. Mental illnesses such as depression, schizophrenia and panic attacks may affect your behavior. Sudden changes in behavior can cause improper driving like rash driving, lack of concentration and improper decision making. Herniated disc: Also known as slip disk can cause difficulty while driving. Sometime the back pain can get worst while driving. So if you are a patient of slip disc then its better to periodically take advise from your doctor regarding driving. Cataract: It blurs you vision and affects your driving skill depending on the severity of cataract. A timely treatment of cataract can help you in driving properly. Some Medications: Yes ! Some medicines can definitely impact your driving as the side effects of some medicines don't allow you to drive properly. Some of these medications are anxiety medicines, sleeping pills, epilepsy medicine, antidepressants, antihistamines and opioids. These medicines can cause drowsiness, dizziness, weakness of muscles, blurred vision, confusion, lack of alertness and slow reflex. These conditions can easily cause any mis-happening on road. Some medications are equivalent to drinking more than legal amount of alcohol while driving. Apart from above listed conditions. there are some temporary medical condition that can affect your driving such as sports injuries like concussion, muscle tears and strains. Some anesthesia given by doctor might also make you unable to drive for some hours or a complete day, depending on the treatment you are getting. In such cases use your common sense to decide if its safe to drive or you may ask an expert.